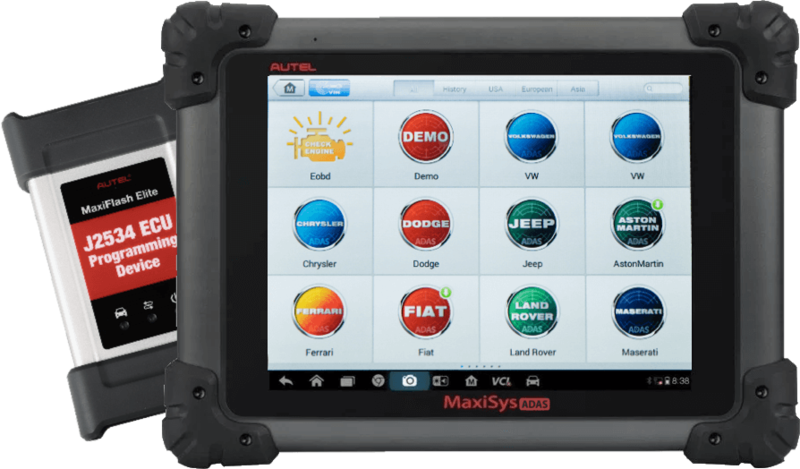 Autel provides weekly software updates for the newest coverage to keep up with market developments and ensure precise vehicle calibration. 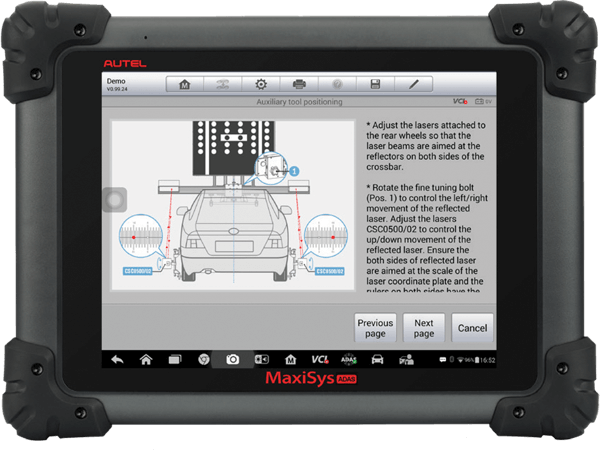 The MaxiSYS ADAS software offers comprehensive coverage and guides you throughout setup and calibration procedures making it easy and fast to use. 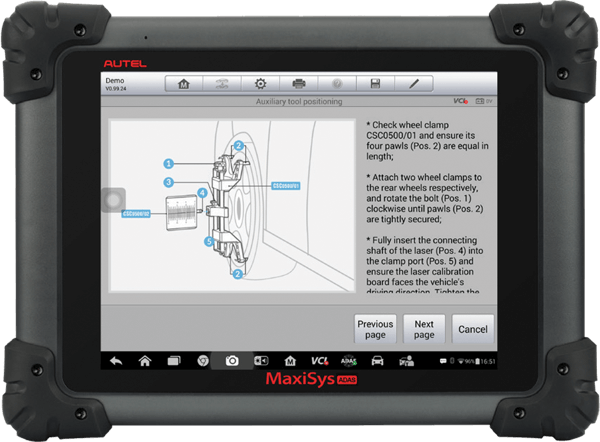 The user friendly Android system helps the technician during DTC diagnostics, setup and calibration procedures with tutorials and illustrations. Easy to follow tutorials an step by step instructions. User friendly Android software with easy to follow instructions. 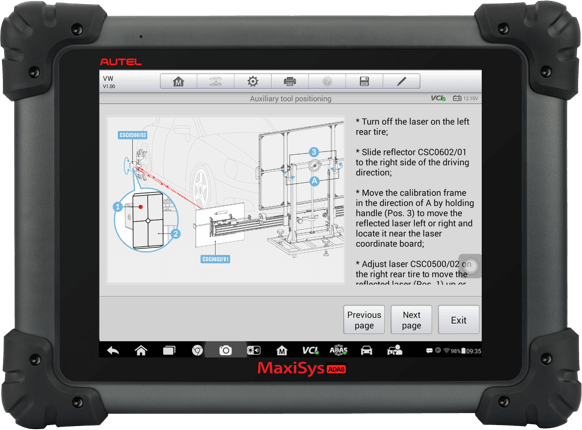 Accurate descriptions for alignment and vehicle lift.